Since my last post, many trips, travels and transitions have passed. Unfortunately many of which went undocumented in this blog. A recent visit to China made me rethink to start updating once more. I arrived in Beijing jet lagged and under what seemed to be hazy clouds. Only after getting a bit of shuteye did I realize that this haze was not a figment of my imagination as I had previously thought but a mainstay of Beijing landscape. A sepia-colored fog that loomed over the entire city, notorious visual of the city’s growing pollution challenges. I did not spend much time in Beijing as I quickly packed off to various locations across Northern China. First stop, Ningxia Autonomous region. Arriving in the Region’s capital, Yinchuan I was flabbergasted by my surrounding. It seemed that the entire city was constructed yesterday. Construction cranes protruding like giant tentacles, were a staple of the city’s skyline. Large avenues, neatly dotted with trees, bike lanes, public spaces. An urbanist dream design of a Chinese city….or at least on the surface. All this and relatively very few people. It seemed everything was in excess. Buildings were grotesquely large in what seemed to me an effort of one-upmanship; to convey development and prosperity. It left me grappling with questions of how to define those terms and if development is measured by level of infrastructure in place. Yinchuan is a stone’s throw away from ancient China’s most well-respected ancient civilizations. It is not as if Yinchuan happened over night. When I inquired about the origins of the old city, I was told it was mostly being dismantled in favor of this new Yinchauan that lies a little bit westward of its founding origins. Gaudiness aside, given that it’s highly bias to my subjective opinion, there was a sense of admiration and awe for the sense of effortlessness that filled the air. As if creating a city out of dust is just another day at the office. Ningxia’s countryside was at times reminiscent of Sudan’s dusty savannahs and at times I could not help but compare. Hands down my favorite discovery was a visit to a museum dedicated to water resources. The region is home to Qunitongxia irrigation scheme, a network of 39 ancient canals dating back more than 2000 years and a testament to successive dynasties that built and harnessed the Yellow River’s power. My presence around these parts was a bit of an oddity, with many inquisitive looks. Curiosity aside, I was humbled by the generosity and hospitality of folks I encountered. 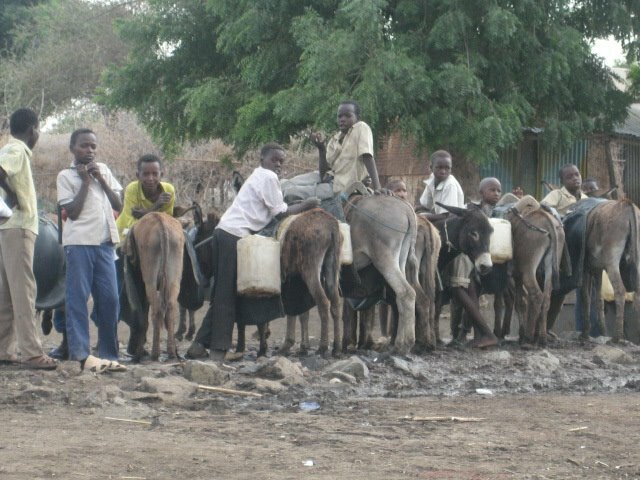 For the past few days, I’ve spent the majority of my in the village of Kunaina Albeer, located on the Sudan-Ethiopia border. A mere 10 km away, and one would be walking on Ethiopian soil and all that seperates the two nations is a mere seasonal gorge that is dry most of the year. The 140km trip from the city of El Gadarif, the prominent thatched huts that are indigenous of this region come into full view. Although labelled as a village, Kunaina is more like a small town with over 8,000 inhabitants and a sizable local market. 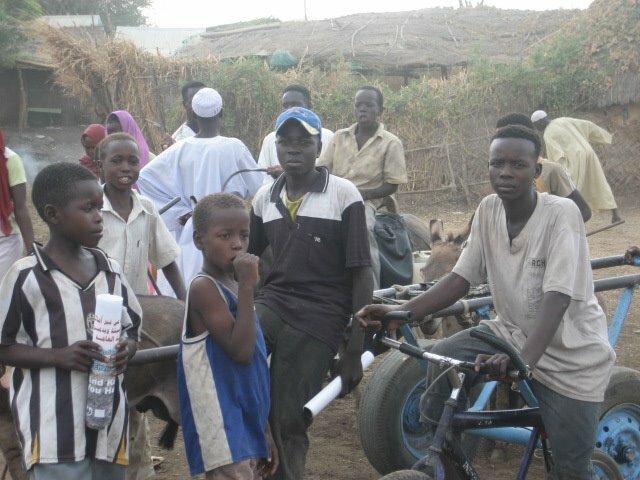 It’s an interesting village, one that surprisingly has high representation of various ethnic groups from across Sudan. Many came and settled for agricultural purposes. Others such as Huasa and Fulani (known as Falata in Sudan) groups with roots in West Africa (Nigeria, Ghana,etc) crossed the continent on route to Mecca and have since settled and became integrated into the melting pot of Sudanese society. These groups in addition to ethnic groups from Northern and Western Sudan along side numerous Ethiopians and Eritreans who also now El Gadarif home. Most of the time was spent in the vicinity of the water station. 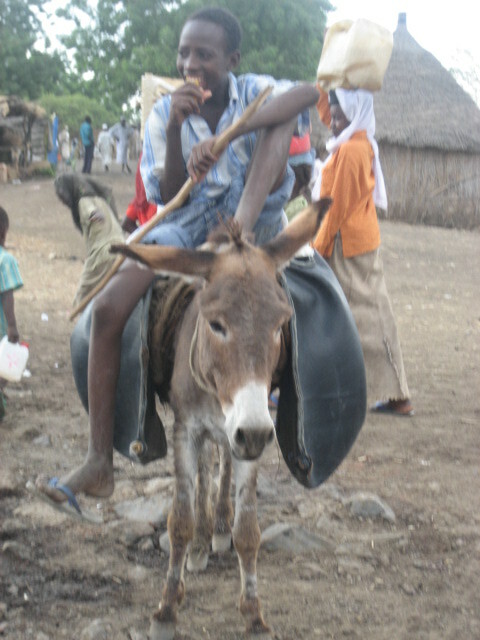 Although not a watering hole, residents living on the outskirts of the village come into the water station to fill up. 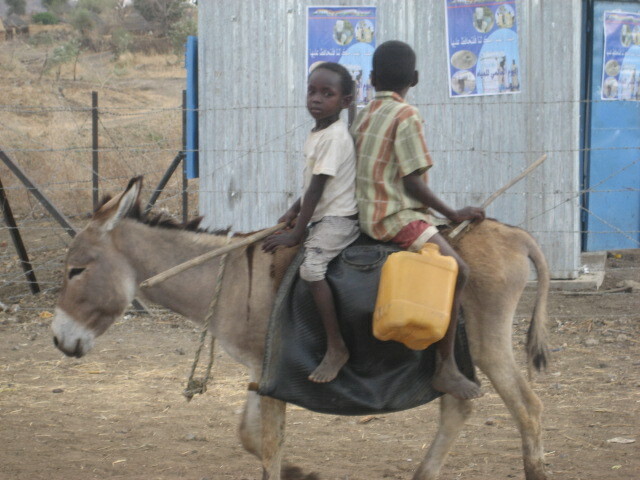 It’s mostly kids who were present collecting water. So by default it has become the local hangout spot. 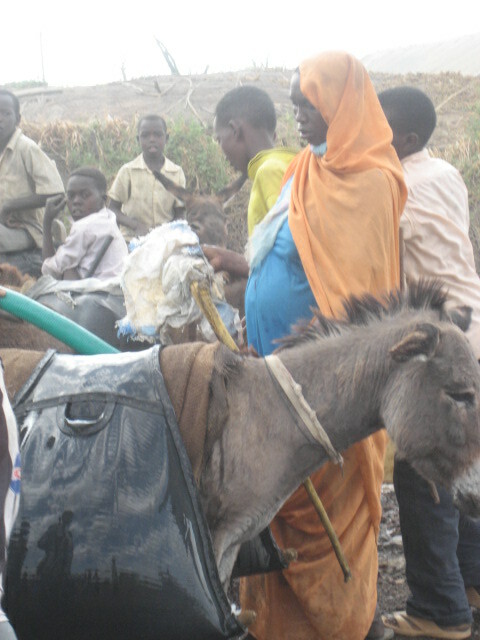 So with donkeys in tow children and teens line up and chat while filling up their water containers/ bags. Talks these days surrounded the exam timetable for some and the grueling load of memorization that awaits them. Others with their minds elsewhere, were discussing means of upgrading or buying bikes. A few had their heads in the clouds discussing, mobile phones they have seen some village elders carrying. 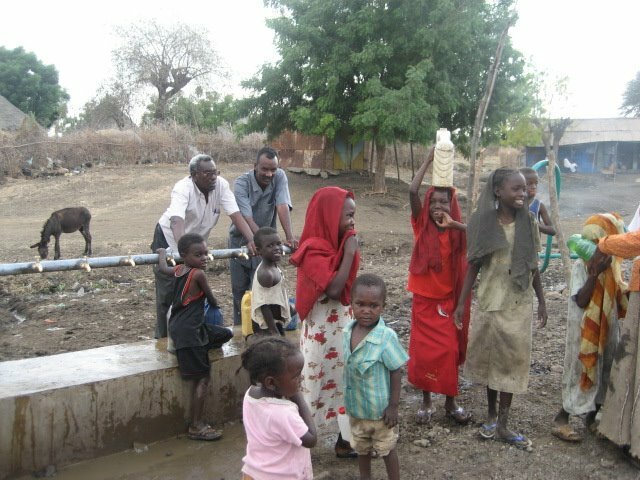 So many of us take for granted clean water and somewhere to go to the bathroom, but the reality is that the vast majority of the world’s residents, Sudan included lack access to these basic services. 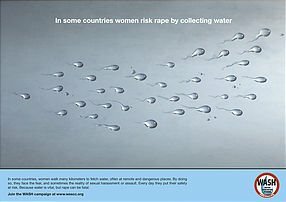 At that, the world’s water resources are rapidly being polluted. As an african proverb stated in the post title says it appropriately points out that dirty water cannot be washed.